Cutting Dundee’s library budget could have long-term consequences on literacy, social isolation and mental health. The warning comes after Leisure and Culture Dundee (LACD), the arms-length organisation that runs the service, announced plans to decimate libraries’ budgets this week. The organisation has to find £860,000 to balance its budget this year and aims to do this through a combination of cuts and price increases. The cuts include reducing the resource budget of libraries – the money available for new books and periodicals – and cutting staff numbers through voluntary redundancy and early retirement. The organisation, which also runs the McManus, Camperdown and Caird Park golf courses and the Olympia Swimming Pool, said it may not replace all departing staff in order to keep costs down. Sean McNamara, head of the Chartered Institute of Library and Information Professionals in Scotland, said cuts to library services can have serious long-term consequences. He said: “We realise that council services are under severe financial pressure and difficult decisions need to be made. “However, cuts to resources and staffing can impact on vital services that libraries provide for communities. “Libraries and their skilled staff help improve literacy levels as well as tackling social isolation and supporting mental health and they also play a key role in the current digital strategy for Scotland by providing free access for people unable to get online at home. “Any local authority considering cutting budgets must ensure they have fully assessed the long-term impact any cuts may have. ”Labour group leader Kevin Keenan said “slashing the culture budget” was the wrong thing to do when Dundee is trying to promote itself as one of Scotland’s leading cultural destinations. He said: “Obviously, I am deeply disappointed to hear there is a potential load of job losses. 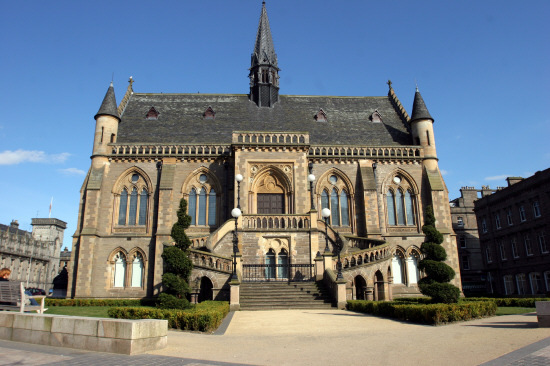 A report to Dundee City Council’s policy and resources committee this year revealed that Dundee has the highest percentage of citizens who are library users out of all of the Scottish authorities. Nine of the 13 libraries showed an increase in visits in 2016-2017. The Central Library is Scotland’s busiest. Last year there were concerns cuts could lead to restricted opening times in some city libraries. A spokesman for Leisure and Culture Dundee said there were currently no plans to reduce opening times.